Our company is one of the prominent Hotel Booking Agents in Maharashtra offering clients outstanding Hotel Booking Services in various parts. While traveling a comfortable accommodation to stay is one of the important requirements. We help our clients in finding accommodation according to the requirement of the clients. We work in close network with 5 star, 3 star, 2 star, Guest house and Resorts. 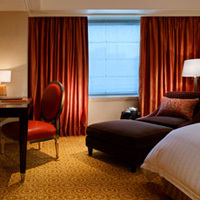 We render various types of rooms including A/C Room, Non-A/C Room and Deluxe Room etc. We have a group of dedicated professionals making reservations on clientâ��s behalf according to their budget. We help you with booking in Tapola Resort, Booking Resorts near Pune and make sure that they have a comfortable stay. You can contact us for Hotel Booking from Konkan as well.